Over two thirds of all motorcycle accidents occur when another driver violates a motorcycle rider's right of way. 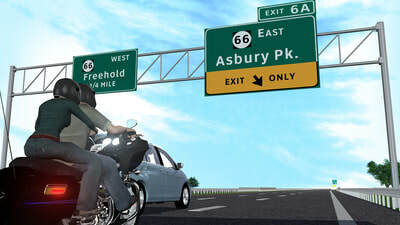 Riding at the speed limit in the right lane, a motorcyclist and passenger were preparing to get off at an upcoming exit. 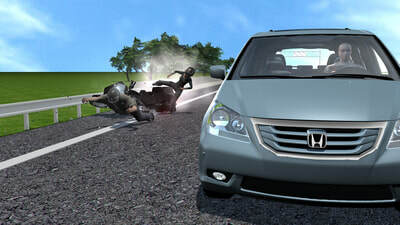 A van driver in the center lane attempted to get off the exit at the last second, crossing two lanes, cutting the motorcycle rider off and colliding with it, causing massive injuries to the motorcycle rider and passenger. 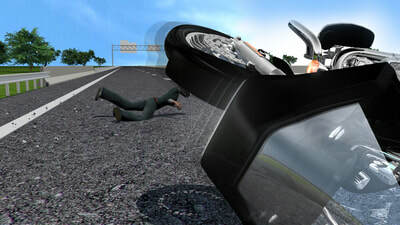 Oral presentation of an accident can easily confuse a listener's viewpoint. With conflicting depositions and complex details, an animation cuts to the chase when you need to show motion in a motor vehicle accident case. This animation represented the expert's opinion. 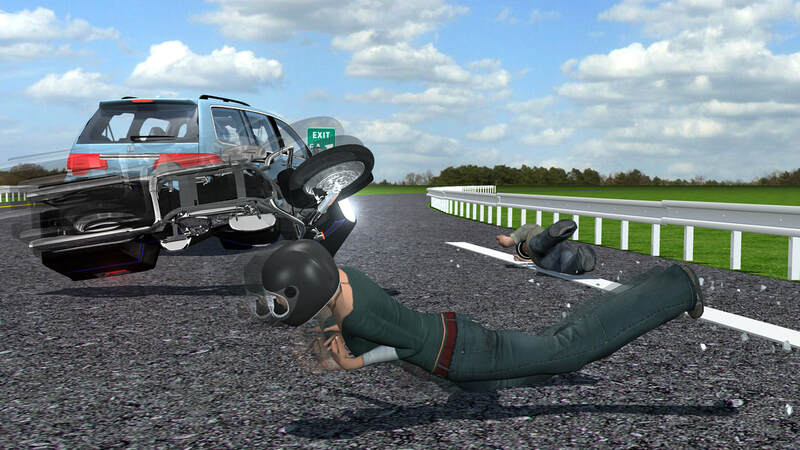 Working with depositions, a police report, an expert engineer, satellite imagery, site scans and manufacturer's specifications of the vehicles, we created an animation to put a viewer at the scene of the accident and demonstrate how it happened.